J.Rawls is back in the footsteps of Madlib's Yesterdays New Quintet and Marc Mac's Visioneers with a new album of original hip hop-jazz compositions and tributes to some of the greatest in Hip Hop and Jazz. Produced by J.Rawls, one half of Lone Catalysts and 3582, and producer for Black Star ("Brown Skin Lady”), El Da Sensei, Wordsworth, J-Live, Beastie Boys, Rasco, Unspoken Heard, All Natural, Mass Influence, Five Deez, Dose One, Declaime, Venus Malone and many more. "Presents The Liquid Crystal Project 2” is also featuring production work from The Liquid Crystal Project (J.Rawls (Beats / Concepts / Direction), B-Jazz (Pianos / Keyboards / Concepts / Direction), Rob Riley (Drums), B-Chapman (Guitar)). Includes tributes to Beatnuts ("Off The Books” cover), Da Beatminerz (Smif N Wessun's "Bucktown” cover), A Tribe Called Quest ("Pushitalong” cover) and Cannonball Adderley. 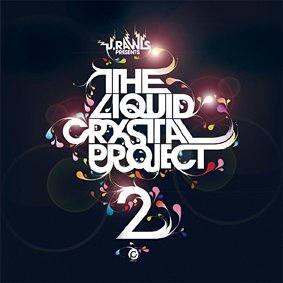 The album J.Rawls "Presents The Liquid Crystal Project 2” (Polar Entertainment) is going to be released September 19, 2008.